FarMar Law Group, PC is a Southern California law firm, previously known as the Law Office of Rory W. Clark. 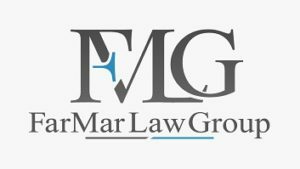 The firm changed it’s name in December of 2017 from Law Office of Rory W. CLark to FarMar Law Group, PC. FarMar Law Group will continue its industry-leading practice that focuses on compliant and effective representation of its financial-sector clientele. It is also exploring innovative avenues of service that it can provide to new and existing clients. The firm is working diligently to ensure that the name change does not negatively impact any of its client or consumer relationships, and that the transition is smooth for all involved.